For K-9s & Felines, LLC offers holistic, gentle pet grooming. Holistic means working with the whole animal; not just the physical aspect, but the mental and emotional aspects as well. So, we’re not just providing your pet with a bath and a haircut, but working with your pet to provide a low-stress grooming environment that he or she will learn to enjoy. We do not use aggressive means to “get the job done” nor do we perform high volume (cage) grooming. This can stress your pet. Because we understand that grooming is not natural for pets, we offer your pet a private appointment where they are groomed start to finish using gentle techniques. We work with your pet to find what is most comfortable for them. We provide them with a calm, relaxing atmosphere and give them lots of love! Finally, your pet gets to leave as soon as it's done. We will provide you with an estimated grooming time but will call before they are ready. Our goal is to have the owner walking in as their pet is coming out. If your pet has fears or anxieties or are health challenged (seniors, for instance), we take our time to work with them. Humanity over vanity is a saying in the grooming industry – your pet’s physical and emotional needs are far more important than a perfect groom! You can help your pet, too, enjoy the grooming experience. It is extremely important to maintain your pet’s grooming at home to prevent tangles and mats, among other things. We’ve learned that most owners are not brushing properly and causing irritation or pain to their pets. If you find your pet does not like being brushed at home, ask us to show you how to do so properly. Let us show you the proper tools to use, as well. PUPPIES! We recommend all puppies have their first groom around four months of age or after their second vaccination series. Oftentimes, a puppy's first groom is a bath only. He'll be introduced to the process: bath, dyers, equipment and handling. This can be stressful for a puppy and as such, a haircut may not be achievable. Sometimes they are too scared, sometimes they are too playful and sometimes they fall asleep! Waiting too long for the first groom can be detrimental. While there are exceptions, the majority of times I groom a young dog for the first time it is a scary experience for them. The dog either needs to be shaved down (due to matting) or is so stressed that it can make it dangerous, not only for the groomer but the dog itself. This is why we encourage starting them off when they are young and small and teach them to learn that grooming is a part of their lives, like going for a ride in the car, and nothing to be fearful of. Maintenance Grooms: The best way to keep grooming costs down is to put your pet on a maintenance schedule. Your pet will enjoy these grooms because they are easy for them to handle and quick! Most pets on a maintenance schedule are done in an hour. This is the ultimate spa experience for your dog or cat: a private appointment, grooming hands-on, start to finish and performed efficiently and timely. We believe this is the best way to groom your pet! We also encourage you to book your appointments for the year, which assures you of a holiday appointment. To set up your yearly and/or maintenance appointments, please visit us at the store or call us at 572-0055. Please note that yearly appointments will be made for pets with a consistent grooming time and those on an 8-week schedule or less. Thank you so much for your support and loyalty! While appointments for cats can be flexible throughout the week, we have designated select days to be CAT ONLY spa days. We will not book nail trims for dogs on those days as we want those days to be cat friendly and DOG-FREE. The following dates are designated for cat spaw days (please note they are all Wednesdays): January 24, March 21, May 16, July 11, September 19 and November 14. A basic grooming package includes the following: nail trim, ear inspection/cleaning, massaging bath using premium, all-natural spa products, blow dry and comb out. Additional charges will apply for breed cuts, shave downs or puppy cuts/kitty clips as well as specialty baths (oatmeal, medicated, flea or skunk). Please call for details. Prices are subject to change. Our dog grooming prices are based according to AKC breed standards and the amount of time it would take to groom a pet properly maintained at home. Every pet is unique and even within the same breed, size and coat types are different. As such, we cannot provide exact quotes. We can, however, provide you with a starting price or a general range for that breed. Factors such as coat or skin conditions, type of coat, age, weight, mobility, behavior and style of haircut all affect the amount of time it takes to finish your pet as well as wear and tear on the groomer's tools (and the groomer herself!). Any, or all, of these conditions will increase the grooming price. Please note that payment is due when services are rendered. Grooming is by appointment during regular store hours. Please call us at 572-0055 to schedule your pet's appointment. Nail trims: By appointment only, during the last half hour of the day. Dog & Cat Nails are $8.00 (difficult animals, embedded nails or filing/dremeling incur additional charges). We will not groom aggressive animals. Aggressive animals, stressed animals that could harm themselves or the groomer, or animals with certain health issues, should be groomed under a Veterinarian's care. We reserve the right to refuse service for any animal that is too matted, stressed or becoming agitated. Charges will apply for work done or time spent. We are proud to provide your pet the best grooming experience possible! By offering a private appointment, time is dedicated solely to your pet. As such, we ask for promptness and kept appointments. TARDINESS: In order to achieve the lowest stress environment possible, our schedule must run smoothly. Pets need to be dropped off and picked up on time. We are not a boarding or daycare facility and do not have space to house pets. A late drop-off/pick-up affects the day’s schedule, which in turn causes stress to the grooming staff, our clients and their pets. If you are unable to arrive within 10 minutes of your scheduled appointment, it may be cancelled and cancellation charges will apply. For late pick-ups during business hours, we will charge $5.00 for every ten minutes your pet remains on the premises after expected pick up time. Once we close, we will wait 30 minutes and charge an additional $2 per minute. After that, your pet will be housed in a crate for the night and a $50 charge will be applied to your account in addition to the late fees accumulated. In a worst case scenario where no communication is given to us about retrieval by business opening the next day, Animal Control will be contacted for abandonment. CANCELLATIONS: If you are unable to keep an appointment, please provide us with a minimum notice of three business days. This will allow us time to refill your appointment. While we provide a reminder call as a courtesy, it should not be relied upon. Please do not wait for that call to cancel your appointment as those calls are placed two business days before your appointment and would be considered late. Charges will incur for notification less than three business days. A third occurrence will incur the charge of the missed appointment plus prepayment of any future appointments. A new client who cancels short notice for the first appointment will not be offered another chance to reschedule. NO SHOWS: No shows are different. A client who no-shows without explanation will not be offered another chance to reschedule. A client who no-shows with an explanation can reschedule once payment has been made for the missed groom. CHARGES: The charge is equal to the amount of the groom scheduled and should be paid within seven (7) days of the cancelled appointment. Unpaid invoices will be sent to collections. Short notice cancellations or no shows cause us to have a financial loss (by that, it affects my paycheck). We are in business to service our client's pets using a holistic approach by utilizing gentle techniques in a low-stress environment. Please respect our time, as there are only 4-8 private appointments available during the day and those appointments need to be filled. We may not be the right business for everyone and that's okay. Thank you for your understanding of how our salon operates and the need for these policies. We believe you and your pet will truly value and appreciate our services. We are dedicated to the health and happiness of your pet! Appointment must be made in advance for any flea baths. Appointment will be at the end of the day and overtime charges will incur if level of infestation requires additional grooming after store hours. A minimum charge of $25.00 will be imposed in addition to the cost of a basic groom for that pet. Captstar must be given to your pet 6 hours before arrival. Capstar can be purchased at your veterinarian's office, our neighbors at U30 Cat & Small Dog Wellness Center as well as our store. It is a safe and affordable medication that kills all the fleas on your pet and starts working within 15 minutes with a 90% kill rate after 6 hours. If you are giving your pet an oral pest preventative, please check with your vet first before giving Capstar. 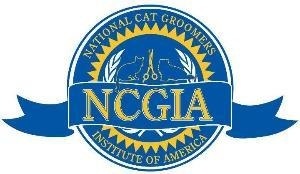 On February 5, 2018, I was elected as an Officer of a newly formed national grooming association, the American Professional Pet Groomers Association. 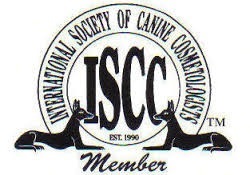 This organization will be announced at Intergroom in April, 2018. We are very excited about this new organization as it will be have a large legislative component. 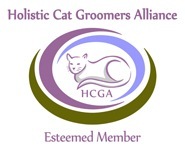 I am humbled to be with some big names in the grooming industry! 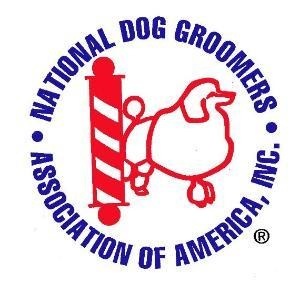 Our Board of Directors consist of: President - Susan Sholar of the AKC (NY); Vice President - Joey Villani, of Nash Grooming Academy (NJ) and some of you may know him as a Judge in Groomer Has It; Secretary - me! ; and Treasurer - Dara Forleo, owner of Dara's Paw Spaw and The Whole Pet Grooming Academy, a NH accredited grooming school. Other Board of Directors include Mario DiFante, world renowned show judge of (RI) ; Jacki Panzik, owner of Riverside Grooming (CA) and Connie Celenza of Connie's Pet Styles (AZ). We are very excited about this organization! 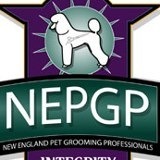 On October 15, 2017 I was honored to be elected to the Board of Directors of the New England Pet Grooming Professionals (NEPGP) association! 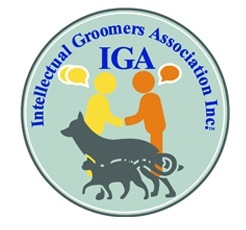 I am passionate about the grooming industry and the education of groomers, so I am humbled of this honor and excited to be a integral part of this wonderful organization!!! Member in good standing since 2010. 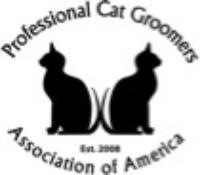 Professional Cat Groomers Association of America. Member in good standing since 2013. Member in good standing since 2014.